There’s something about Easter which makes me want to deck the halls from top to bottom. 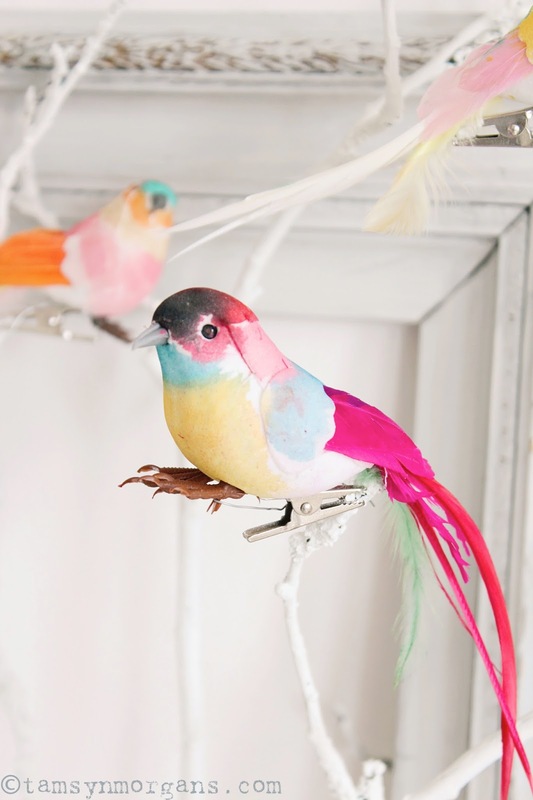 The ice-cream pastel hues, feathers, birds and eggs, ditzy florals and Spring blooms – bring on the pretty! Not to mention Minieggs, which are so photogenic but sadly didn’t last long enough to make an appearance in this shoot (“Mummy ate ALL the rest of the Minieggs! !” Oops. Well it was Saturday night). 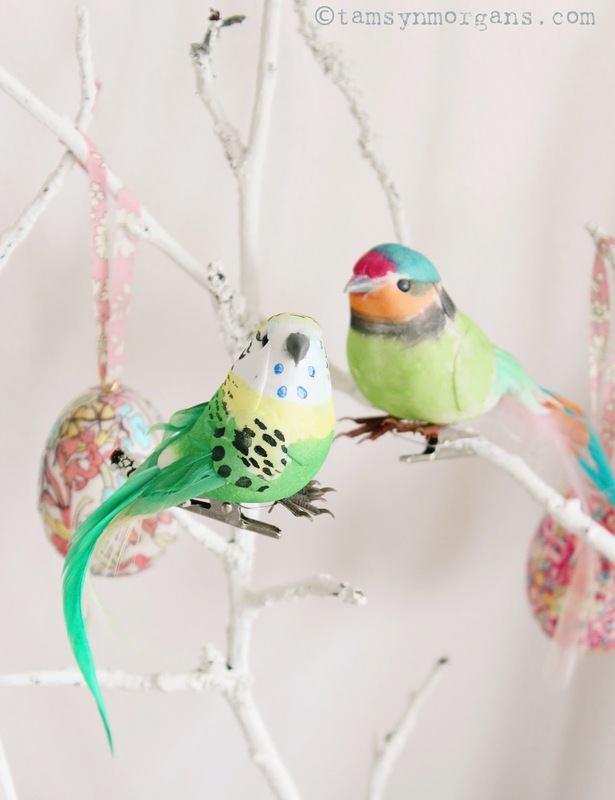 So when found these sweet little feather birds at Pippii, I knew I had to have them for my Easter decorating. Perfect for adorning a vase of twigs, they’d also look really pretty decorating a parcel or clipped onto a lampshade for a splash of colour. 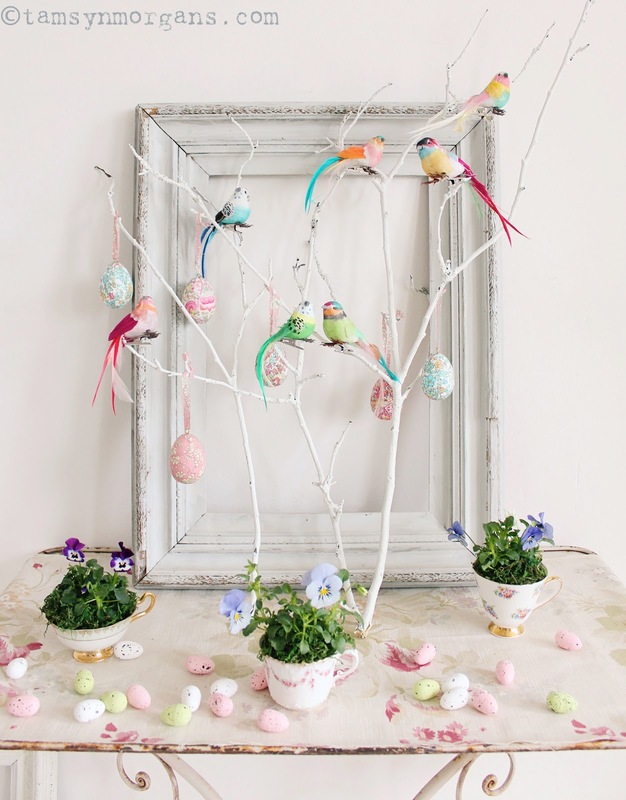 To replace the Minieggs I scoffed, I used these little eggs from Poundland which I bought for the children’s Easter crafting, and you can also just see some of my Liberty print eggs hanging on the twigs, more pics of those over the Easter break. The twigs were found on a walk through the woods, and given a coat of white paint, and my Violas in teacups sit very happily in this little scene. 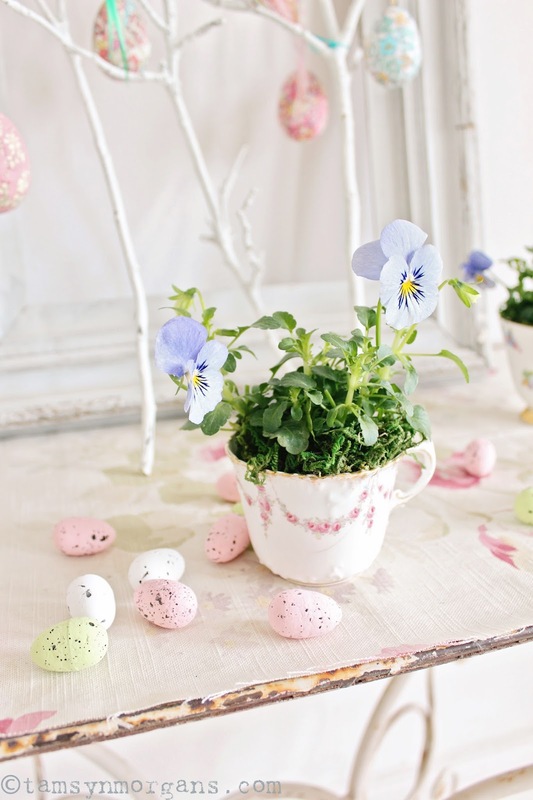 I love the way your decorated for spring and Easter! I really love the birds and the eggs. Have a lovely week and a Happy Easter. my bestie and I were jut talking about how much we love easter for the colors! They're just the best.